SET PARAMETER ID 'VRT' FIELD lv_ebeln. CALL TRANSACTION 'ME33L' AND SKIP FIRST SCREEN. Let’s take a look at program SAPMM06E mentioned in the first picture and it’s screen 0205 PBO modules. 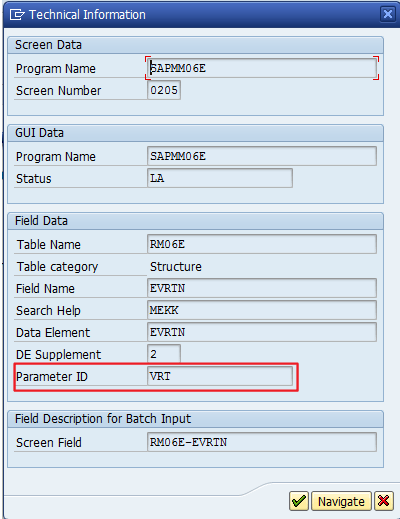 SET PARAMETER ID 'SAG' FIELD lv_ebeln. 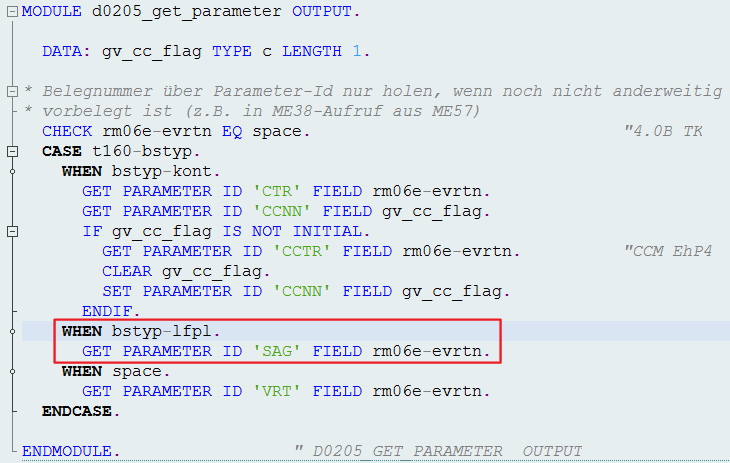 This entry was posted in ABAP, ALV, Development, Dynpro and tagged ABAP, ME33L, SAG, VRT by Spider. Bookmark the permalink.